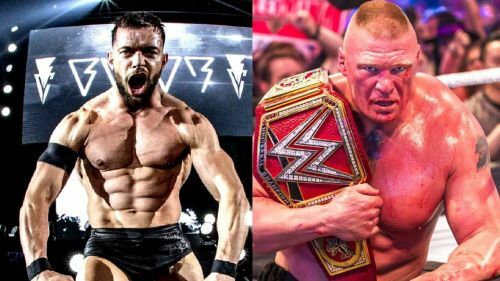 Will Finn Balor defeat Brock Lesnar for the Universal Title at the Royal Rumble? Depends on how much stock you put in rumors! If there's one thing that has always been a huge part of pro wrestling fandom, it's the rumor mill. Yes, for every headlock and haymaker there are a dozen theories, half-truths, and sometimes out and out fabrications about what's happening in the wrestling business. Did the promotion end a feud early because the two wrestlers involved really started hating each other? Was so-and-so fired because he hit on the boss's daughter? And just who is going to sign that big money contract and with which company? Rumors are an intrinsic part of any form of entertainment. If you need evidence, just look at the literal thousands of websites dedicated to deciphering who is going to survive the latest Avengers movie. But what makes rumors in the pro wrestling world unique is that you are dealing with real people. The matches might be predetermined, the dialogue scripted, but at the end of the day, there are still real-life human beings whose fates are being decided. Here are nine of the hottest wrestling rumors of early 2019, and speculation about how much truth there might be therein. Disclaimer: The opinions in the article belong to the author and doesn't necessarily represent Sportskeeda's stand. 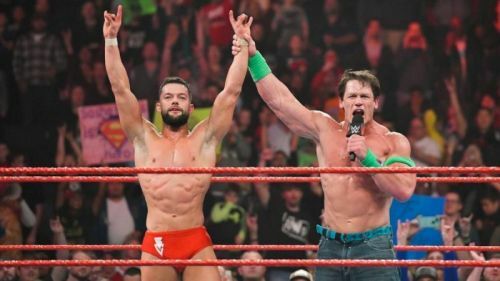 John Cena raises Finn Balor's hand in victory on RAW. This is a rumour that has been circulated at least three separate times. The first two times saw Balor remain solidly in the mid-card despite his natural and obvious talents. The rumour goes like this: The WWE is planning to push Finn Balor as a major, main event star, including a title reign as Universal Champion and a match at the main event of Wrestlemania. Finn Balor has a lot of fans all over the world--many of the so-called 'smart' fans--who are dying to believe this rumor is true, but how much veracity does it have? Chances of being true: Actually, pretty darn good. With Braun Strowman out recovering his elbow, WWE needed a solid performer to replace him. To add further fuel to the fire, Finn Balor won a fatal four-way No.1 contender's match by pinning none other than John Cena. This would seem to indicate that the WWE has big plans for him.